Richmond, Berea, Mt. Vernon, Lancaster, & Stanford: Keep calm and call SERVPRO! We know this time of year can be scary: bursting pipes, water damage, fire place and space heater fires --to name a few. We want you to know SERVPRO is here 24/7! We know during a time of an emergency it can be difficult to think of who to call to clean it up. We want you to get the fastest, most reliable service. We are a local, independently owned and operated company. We are in your area, so we can help you with your emergency that must faster. This winter when snow is falling and a pipe has burst --you know who to call, SERVPRO. For more information on our services, check out our blogs today! 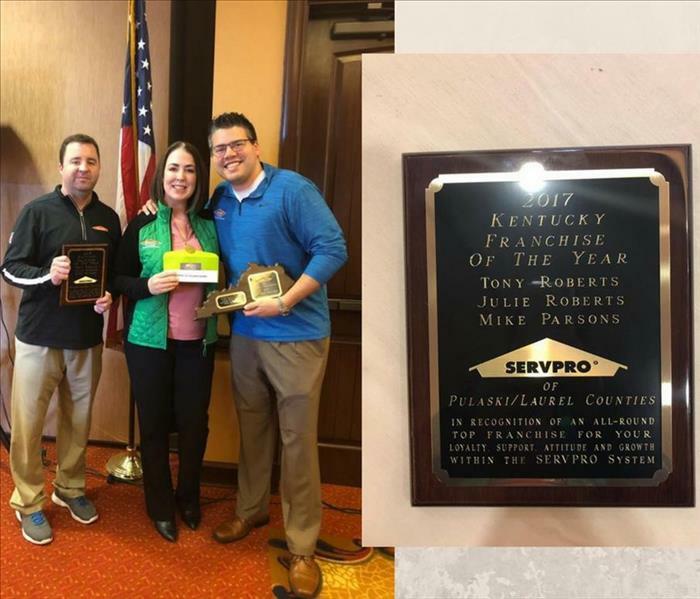 SERVPRO of Madison, Rockcastle, Garrard and Lincoln Counties is locally owned and operated—so we’re a part of this community too. We are also part of a national network of over 1,700 Franchises, which enables us to respond quicker with more resources. For major storms and disasters, we can call upon special Disaster Recovery Teams strategically located throughout the country. They're a great company. Awesome job.